E. C. Hanes. Billy Bowater. Winston-Salem, NC: Rane Coat Press, 2014. It’s 1990 and an art exhibit on a college campus provides just the kind of issue that Senator Wiley Hoots’s campaign staff wants. Hoots is the senior senator from North Carolina. He’s a conservative true believer and a rough campaigner. Seniority has put Hoots in line to head the Senate Foreign Relations Committee. This fits with Hoots’s recent view of himself as a senior statesman, but clout in foreign affairs is not enough to turn out the voters, or to get the flood of small donations that have always floated the senator’s campaigns. No, the campaign needs an issue that will make voters mad and scared, something that will get them talking to their friends, yelling at the TV, and writing checks to the senator’s campaign committee. The senator’s daughter provides the issue when she writes to her father to complain about an exhibit on the UNC-Chapel Hill campus. Photos of naked girls embracing, a painting showing public urination, and so many other examples of bad taste and moral chaos! At a public university–and paid for with tax dollars. Bingo! A campaign issue is born. The late Senator Jesse Helms’s crusade against the National Endowment for the Arts is clearly the inspiration for this plot, but the novel doesn’t focus on the senator. Rather, we see the campaign–all the scheming, in-fighting, spinning, and collateral damage–through the eyes of the senator’s chief administrative assistant, Billy Bowater. Billy, a member of an esteemed eastern North Carolina family, has been with Senator Hoots for five years. His father, a politically connected lawyer, got the placement for Billy when Billy’s drinking and boredom with small town lawyering threatened the family’s reputation. 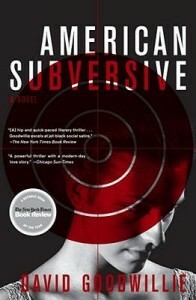 Billy has thrived in Washington–the bright lights, the intrigue, the nearness to power thrill him. That thrill allows him to ignore his dislike for the senator, his politics, and the other members of the senator’s team. Billy’s true feelings bubble up from time to time, especially when he is with Lucy Sue Tribble, a reporter for the Raleigh paper. 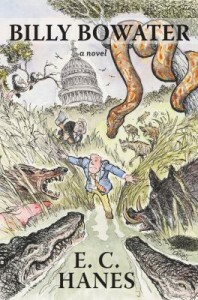 Readers follow Billy as the campaign swings into high gear. This likely won’t be the senator’s last campaign, but will it be Billy’s? K.A. Linde. On the Record. Seattle, WA: Montlake Romance, 2014. At a newspaper party on Election Day is when Liz Dougherty decides it is finally time to move past her secret summer affair. State Senator Brady Maxwell has won the race for North Carolina Fourth District Congressional seat and will soon be moving to D.C. to take up the position. Liz has not heard from Brady since she walked out on the night of his primary victory over two months ago. It is time for Liz to stop thinking about Brady Maxwell and start dating Hayden Lane, her editor at the University of North Carolina’s newspaper. The relationship with Hayden is exactly what Liz needs. The two don’t argue, they share a passion, and everything is out in the open; there’s no hiding what they are to one another. But, Liz can’t escape Brady. He’s all over the news along with his new girlfriend. If that wasn’t bad enough, his little sister Savannah works at the newspaper and is a constant reminder of Brady, especially since Liz and Savannah have become close friends. When Brady shows up at a research colloquium that Liz helped her advisor, Professor Mires, put together and Savannah offers to introduce her, Liz doesn’t know what to do. That same day Savannah invites her to dinner and Liz finds herself across from Brady and his girlfriend at the dinner table. These interactions push Liz to focus even more on putting Brady out of her mind and focusing on Hayden and her future career. Everything is going well: Liz is finally able to tell Hayden she loves him, Professor Mires is helping Liz to gain the connections needed in order to get a great job after graduation, and now that Hayden has graduated, Liz is the new editor of the University of North Carolina’s newspaper. But, when Liz and Hayden have their first big argument, Liz finds herself back in Brady’s arms. Will Liz be able to walk away a second time? Will Brady let her? 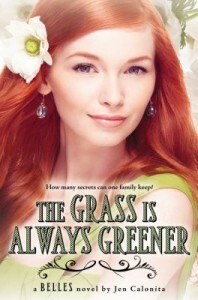 All of the secrets are too much for Liz to bear and she has to tell someone. Who will it be–and is this someone Liz can trust to keep her secret? On the Record is the second book in the Record series. 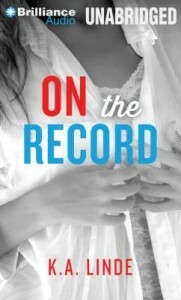 The first novel of the series, Off the Record, tells how Liz, using the pseudonym of Sandy Carmichael, began her affair with Brady. 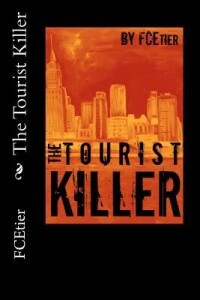 It ended in a cliffhanger that left readers wanting more. This continuation of the tale does not disappoint and will have readers looking forward to the release of the last book in the series later this fall. K. A. Linde. Off the Record. Seattle, WA: Montlake Romance, 2014. On her first big assignment for the University of North Carolina’s newspaper, Liz Dougherty isn’t even expecting to get a question in to State Senator Brady Maxwell. When she does, she asks a question that gets her noticed by her editor, big time reporters, and even the senator himself. Later that night, a guy sends Liz a drink and she investigates who it was. Liz finds herself one-on-one with the senator! Senator Maxwell may be charismatic, but Liz strongly disagrees with his politics and writes about this in her article. However, this doesn’t keep her from using the business card he gave her. Soon the two are engaged in a hot and heavy romance that must stay hidden. The senator is a single man, yet voters might not agree with his dating a reporter, especially one whose articles so passionately express her distaste for his political views. With his announcement that he is running for the United States House of Representatives, Brady Maxwell can’t afford to lose the approval of any of his voters at this time. Liz’s career is at stake too, as an affair with a politician could ruin her journalistic ambitions. Nevertheless, the two throw caution to the wind and indulge their desires. Brady makes it abundantly clear what his choice will be if he has to decide between the campaign and Liz. Both are sure that they can keep emotion out of the equation. 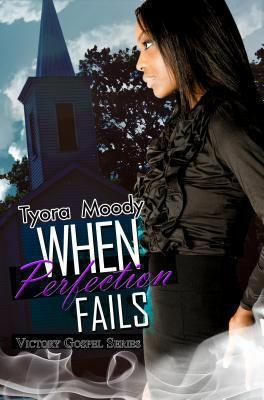 But, when things start to heat up and emotions run high, will Liz find herself in love alone? If their secret is discovered will Brady be able to casually toss their relationship aside? 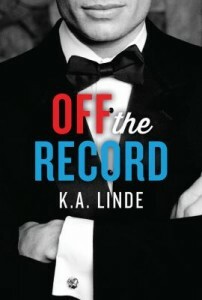 Off the Record is the first book in the Record Series. The tale ends in a cliffhanger that will have readers wishing for the release of the second book later this summer.